Ladies and gentlemen, today is a treat! 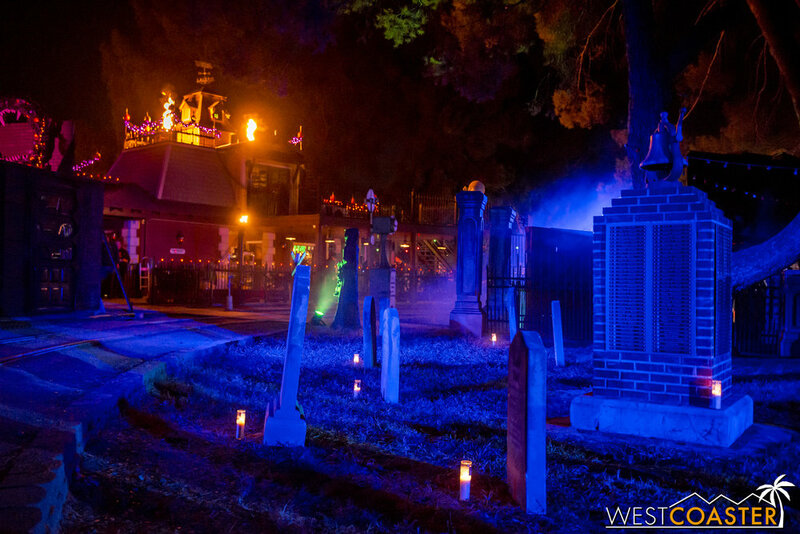 Today, we visit Los Angeles Live Steam Railroad Museum at Griffith Park to take Westcoaster's first-ever look at the Ghost Train, a beloved, charming, family-friendly attraction that made its return this year for its 17th season after being dark last year. 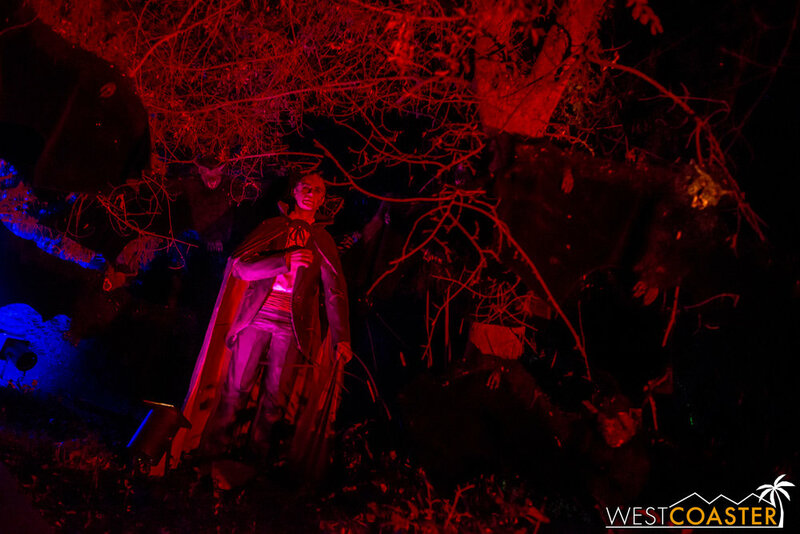 Guests gather at the dramatic, flame-lit entrance of the Ghost Train. The loading station accepts riders one train at a time. A great tree wakes up just in time to provide a little spiel. 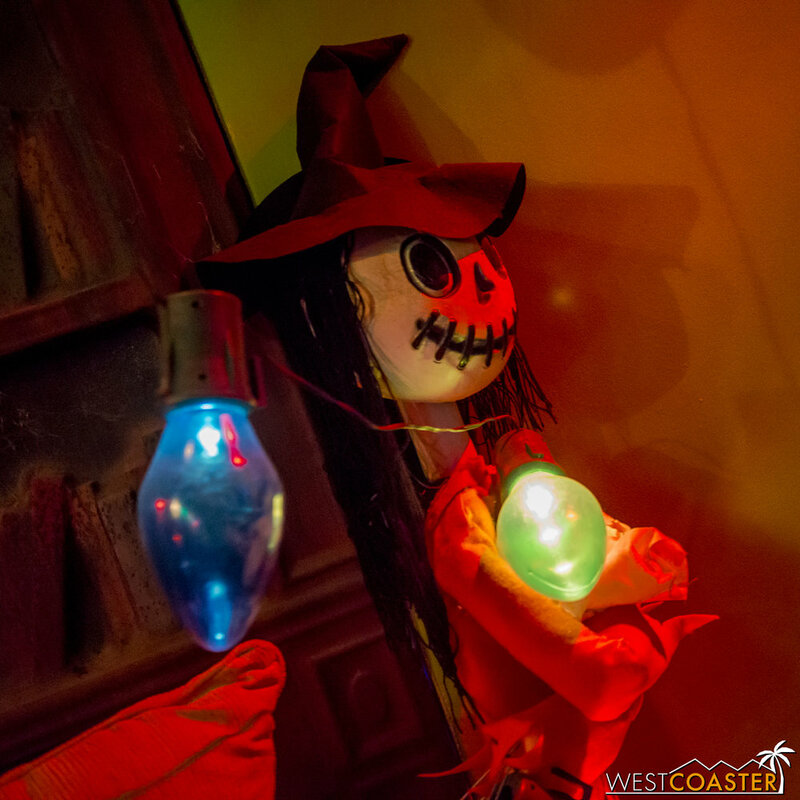 Halloween fans may recall some of the uproar last year when the L.A. Live Steamers announced--with relatively late notice--that the Ghost Train would not be operating for 2016. 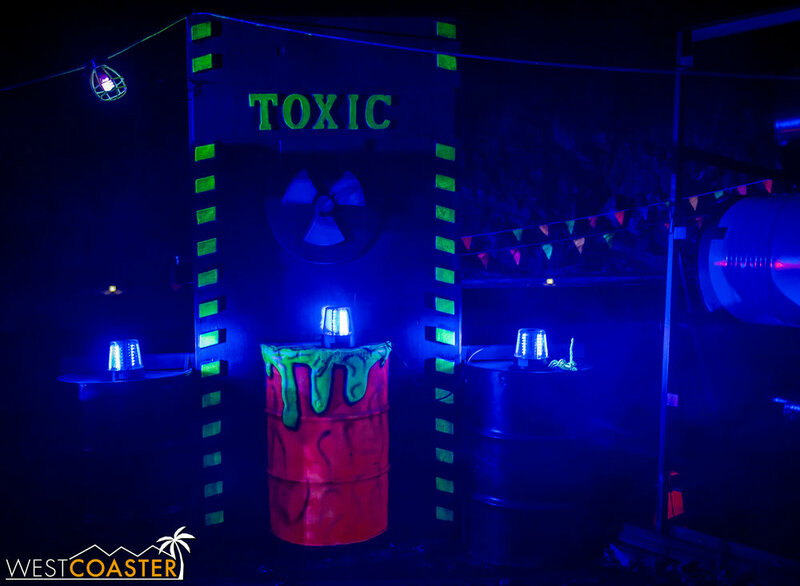 The unofficial reasons given included a combination of too much stress on the trains and tracks and necessity of too many volunteer resources to put on this event, plus safety concerns over the scope and popularity and attraction of crowds for the event. The causes were legitimate--the L.A. Live Steamers spent last year's downtime upgrading the tracks and facilities. However, the method of communication and the public relations handling of this unexpected turn of events seemed relatively poor. 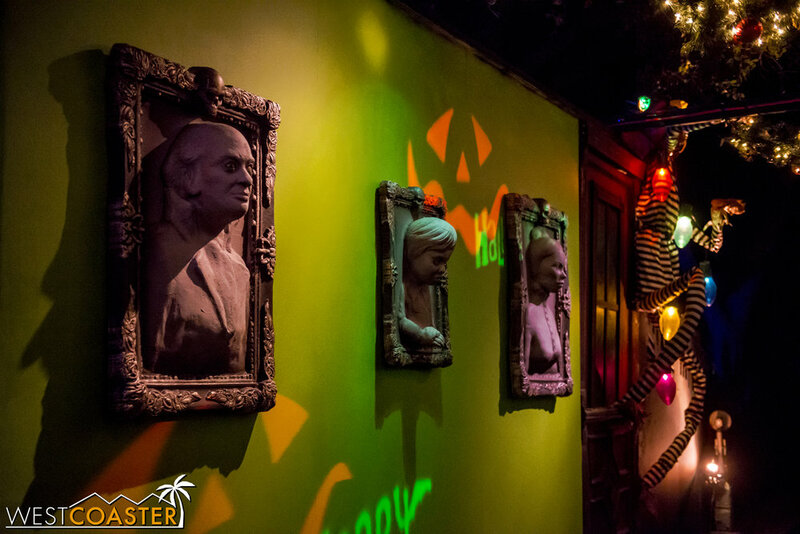 Many longtime guests bemoaned the loss of such a magical and popular attraction that could dazzle guests of all ages and wondered where they might find an affordable Halloween attraction. The late notice struck fans with surprise. Not surprisingly, there was a large and passionate public response on social media. And unfortunately, the response seemed to be a little unsatisfactory to a lot of fans. 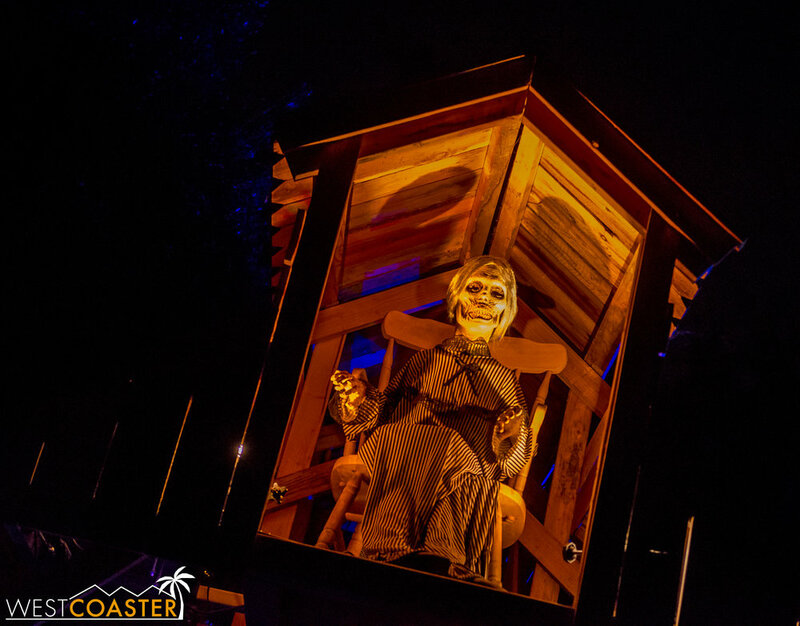 Aubrey II represents one of the more spooky elements on this ride that's effectively friendly to the children. 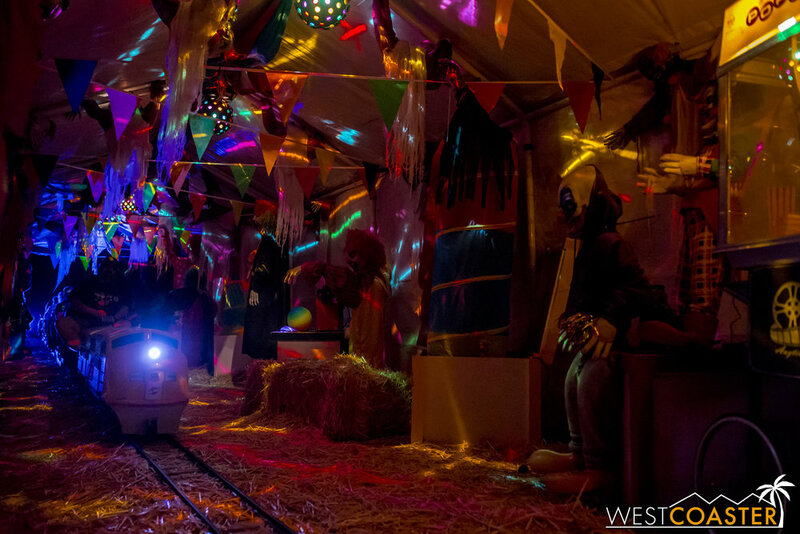 Fortunately, though, the tune has changed this year with a new committee in charge, and the Ghost Train has returned with an even bigger scope than ever, with spectacular sets, whimsical scenes, and nostalgic and warm-hearted Halloween emotion brimming throughout the ride through the tracks at the L.A. Live Steamers Club premises. The flamethrower of this tractor is rigged to go off when a train passes by. ...Assuming no one needs to relieve him or herself. 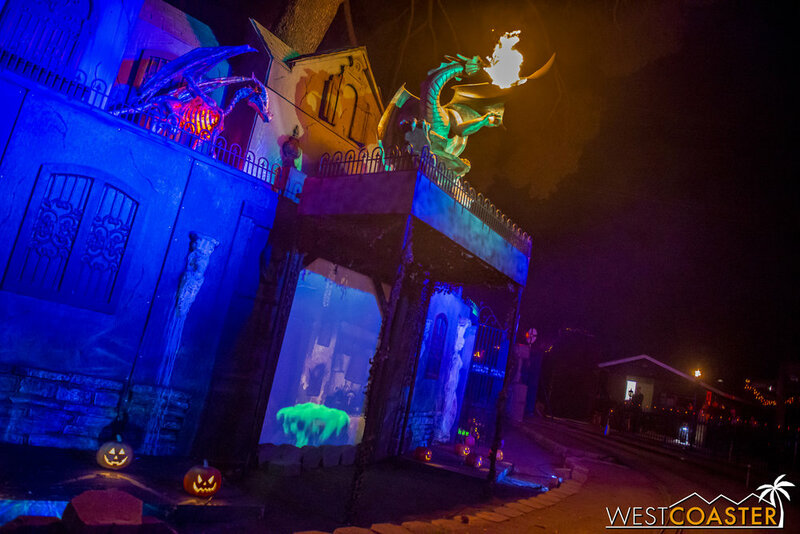 For those unfamiliar, Ghost Train takes riders aboard 1/8 scale model trains through a 23 minute ride of over 30 Halloween scenes. 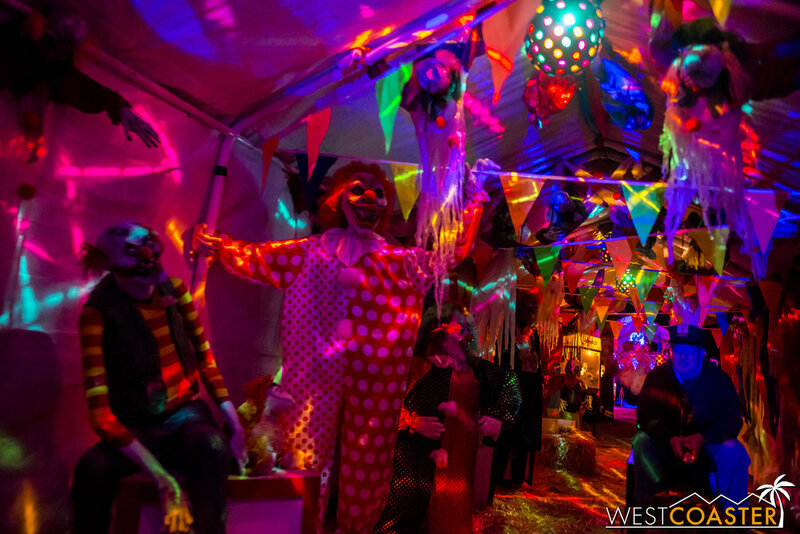 Among the many displays this year are the Witches’ Mansion--featuring a 350-lb dragon belching actual fire; man-eating plants in the style of Pet Shop of Horrors; monsters under the beds; marooned pirates; the beautiful “abandoned” Davis Mine; evil clowns in a kaleidoscope circus; a Zombie Containment Zone; "Radiation Springs," a twisted biohazard area; a Tesla Coil electric experiment; and many more. Christmas and Halloween collide in a grand finale ending that might seem melodically familiar. Guests straddle the trains as they slowly chug along the double loop track layout. 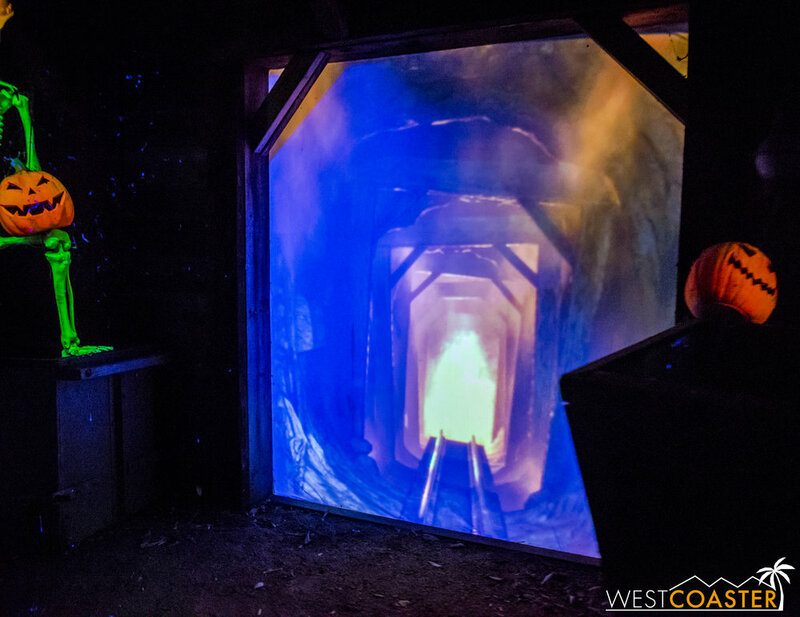 The appealing part of Ghost Train is that operates at a "Disney level" of scare. There are no live actors that pop out and no real startle scares. 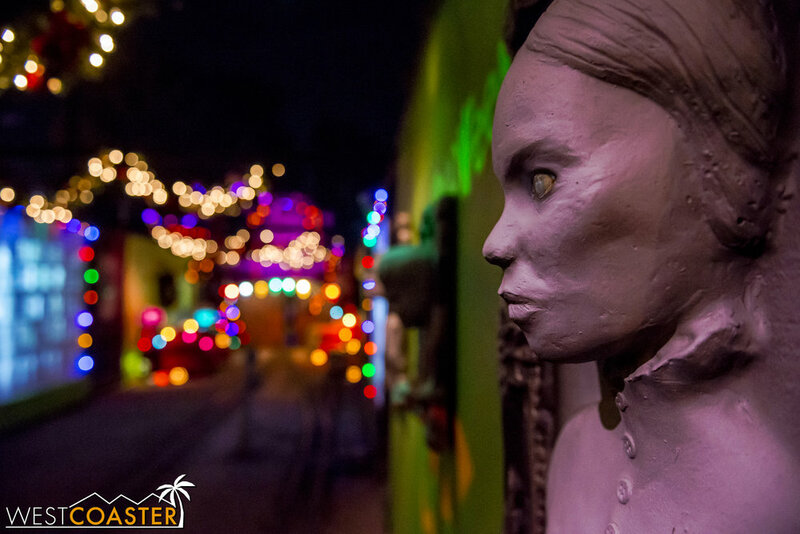 There are some light animatronic startles, but they are similar to what one might find at a carnival haunted mansion dark ride. There is no blood or gore either. Some scenes may be a little scary or disturbing for the youngest tykes, but ultimately, the frights remain family friendly. A fun Día de los Muertos scenes celebrates the Mexican ritual holiday that comes right after Halloween. 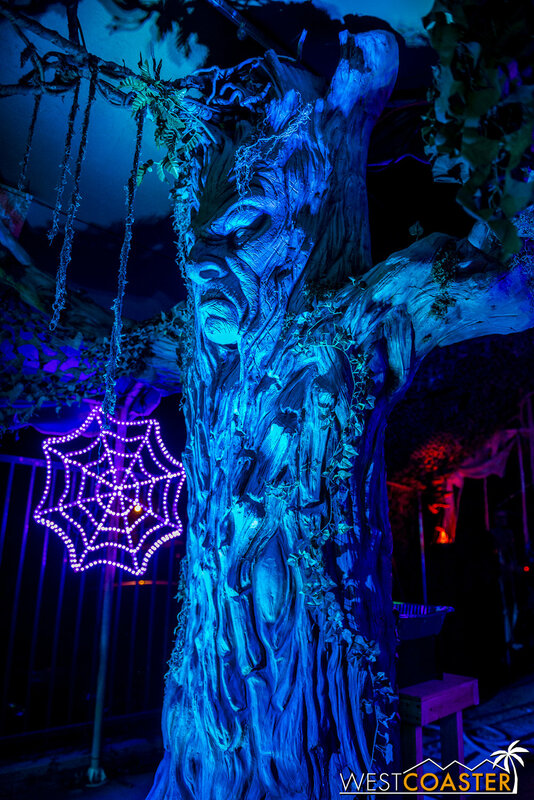 This year was our first year ever visiting this venerable event, and I was personally blown away at the scale, artistry, lighting, and fun of this enchanting Halloween overlay of the Railroad Museum. 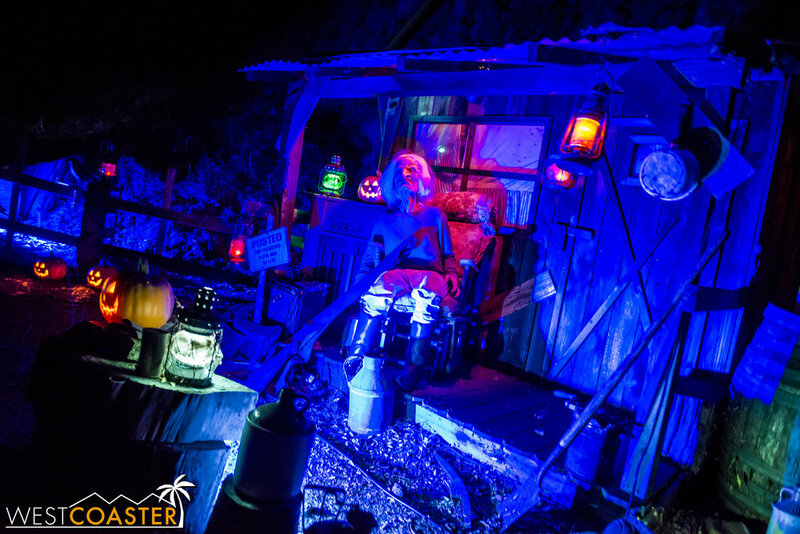 Over the years, the volunteers who put together Ghost Train have built up various scenes to the grand tour it is today. 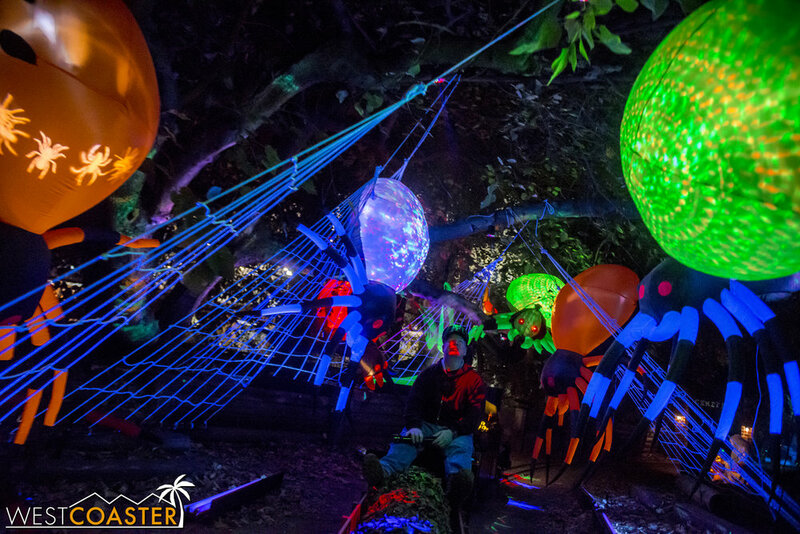 From various effects to immersive sets to creeping figures, the whole experience is quite expansive. It's incredibly impressive that the L.A. Live Steamers volunteers have been able to assemble and stage and light and coordinate sound and set special effects for these scenes. By one estimation, a lot of the work is handled by 4-5 volunteers working 4-5 hours each on their own free time, starting in late August and ranging through the early/mid-October opening. The work is exhausting, and the final product reflects the immense hours dedicated to this event. Kudos definitely go out to the Steamers who help put this lovely experience together. A werewolf peeks behind a tree, eyeing the meal. How about Great Grandpa on a rocking chair? 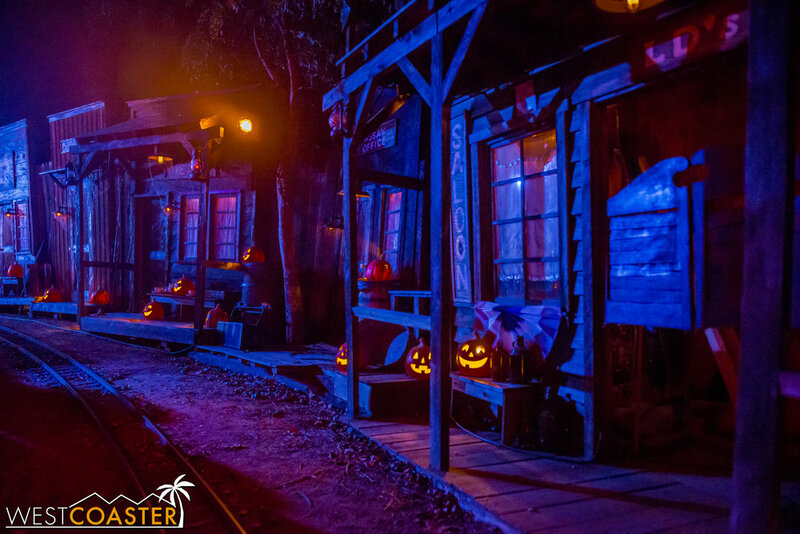 The Ghost Train runs through Halloween night. Tickets are $20 per person, and though online tickets may show to be sold out, rest assured: THERE ARE PLENTY OF TICKETS AVAILABLE ON SITE. This year, the Steamers opted to try online sales as an experiment but allotted only a small number of tickets to the online sales. Don't let minimal online availability discourage you from stopping by. Bring patience if you do, though. Lines can grow to be 1 or 2 or even close to 3 hours on the busiest nights, and the line can strech back pretty far into the woods. But if you can have something to do to pass the time, by all means, bring it. And as long as you arrive and get in line before closing time, you will be let in--no matter how long the wait is at that time. The finale of the ride is rather wonderful. 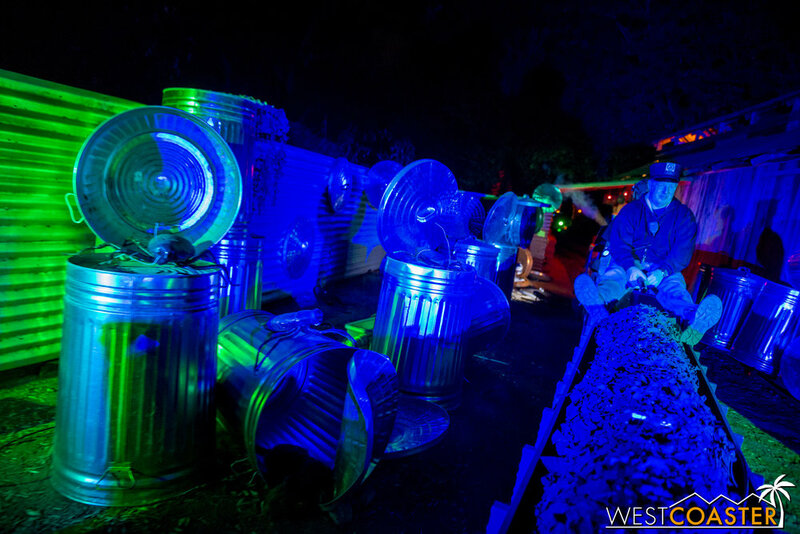 Things may look a little familiar, but lets just say we had some artistic license being taken with parts of Ghost Train! After my visit, I now understand why Ghost Train is so beloved and tugs at so many heartstrings so viscerally. 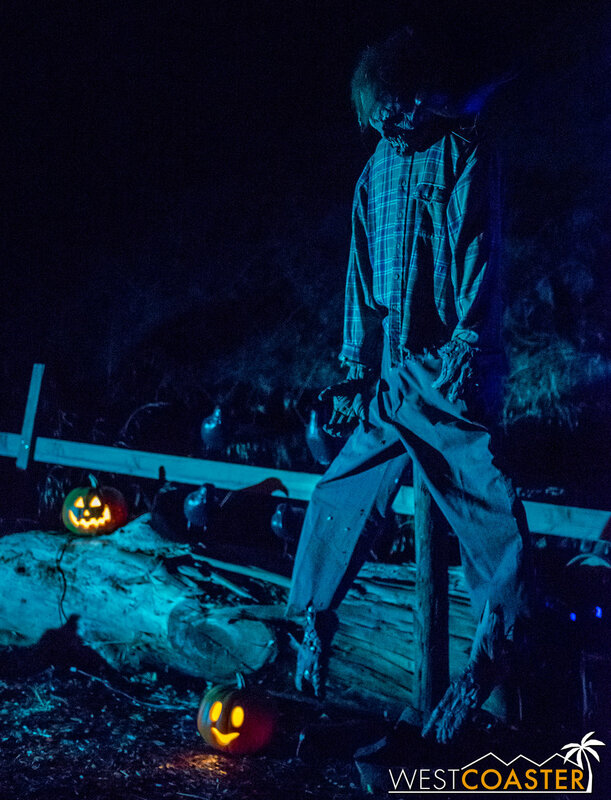 It is absolutely a family classic that captures better than almost any other Halloween attraction I've seen the traditional wonder of the autumn holiday. The scenes are beautiful and the train rides entrancing. The soundtrack carries a lot of emotional resonance. The experience of riding a model railroad is akin to fulfilling a childhood dream for many guests. 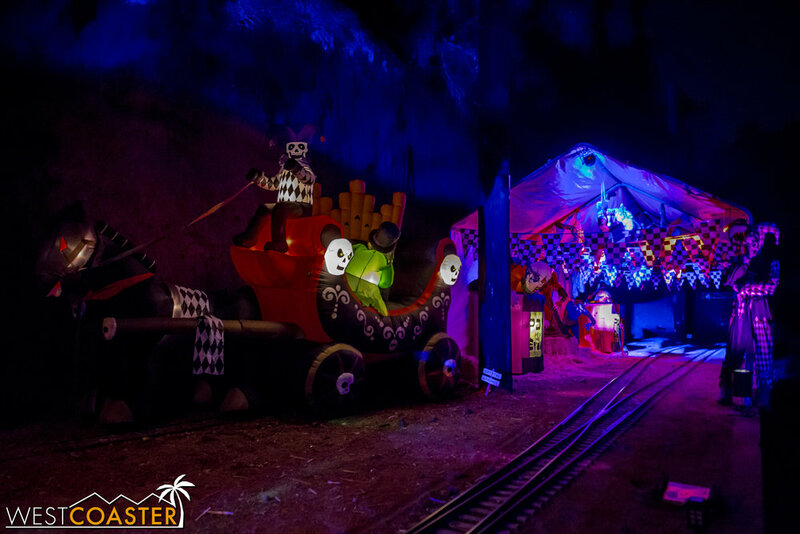 Riding by the Ghost Train sets and scenes provides that feeling of child-like glee and rekindles that nostalgic love for Halloween. It's just a very magnificent and adorable ride-through! 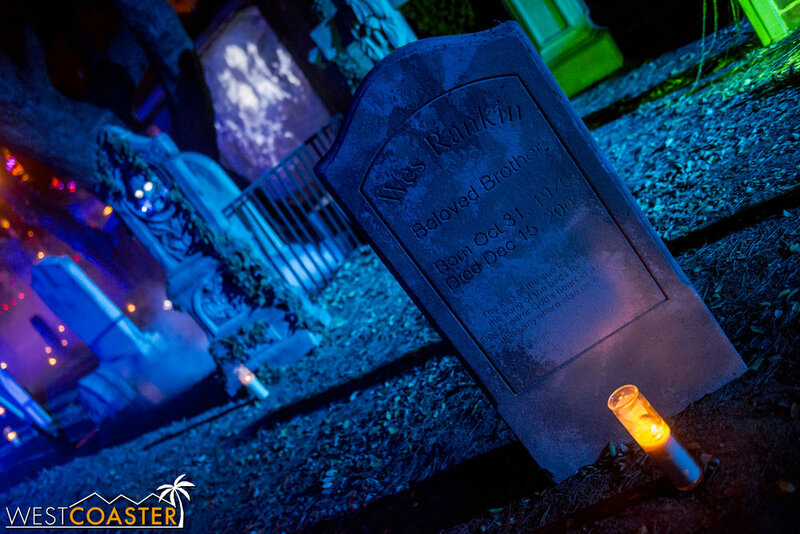 The graveyard looks positively fantastic. A scorned bride decries her fate at the organ. 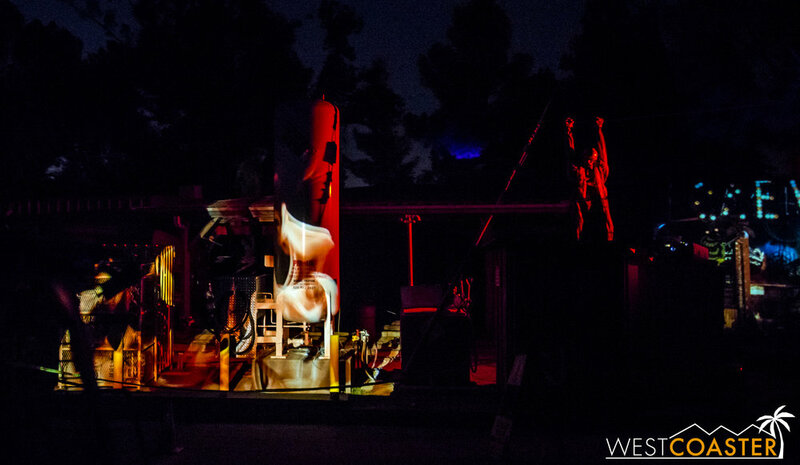 3D projection mapping is cast on a surface with flame effects. 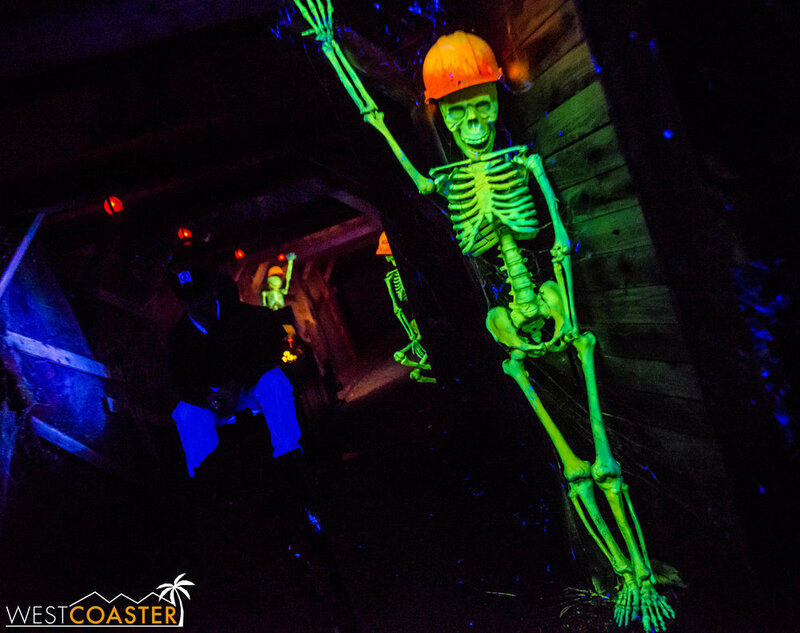 Radiation Springs is probably one of the best haunt puns I've seen. The old western town is another majorly plussed area recently. Rosie O'Donnell selling fireworks is a frightening sight indeed! 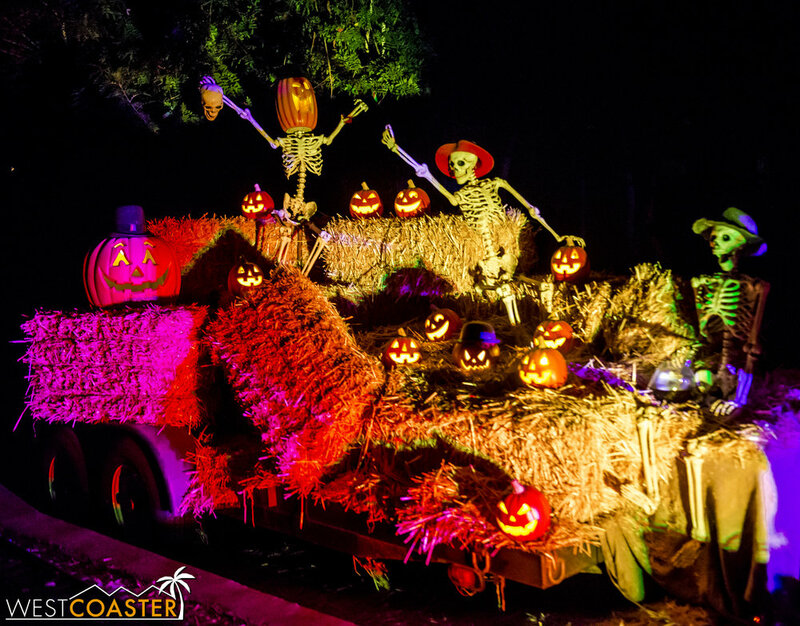 The Ghost Train runs through Halloween Tuesday, from 7-10 in the evening. This beloved L.A. institution is brings back a most welcome holiday vibe. The funds from this event constitute a vast majority of the funds raised by the L.A. Live Steamers throughout the year. It's a great ride for a great organization, and ultimately, a great tradition! 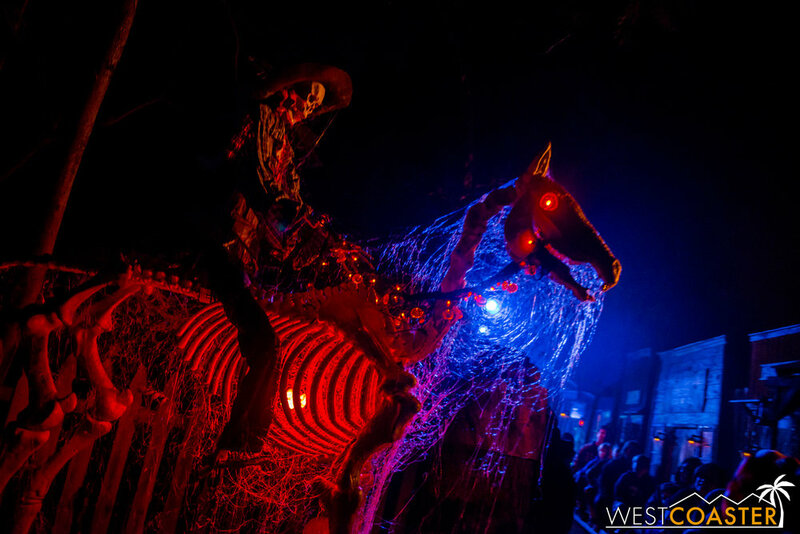 A ghostly cowboy and his horse. Making the turn just as a fire-breathing dragon ignites.